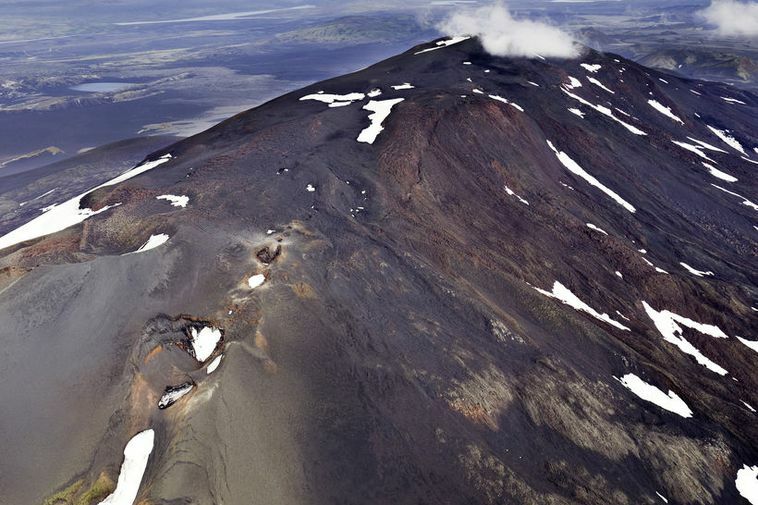 Hekla volcano, South Iceland, is a great tourist attraction. But hiking up the mountain comes with a risk, as outdoor enthusiast Einar Skúlason points out on in an article on mbl.is. Anyone is allowed to hike up the mountain and technically, it is not a difficult hike. The view from the top is spectacular and enjoyed by many people every year. Most likely, though, not all of those people are aware of the risk they take by climbing the mountain. Hekla erupts frequently, especially during the 20th century, with eruptions occurring in 1947, 1970, 1980, 1991 and 2000. What makes Hekla unique is the short time leading up to its eruption, that is, less than an hour. An eruption begins with an explosive onset at the top, followed my large streams of lava. For those reasons, Einar doubts that hikers, standing near the top of the mountain in the event of an explosion, will make it to safety in time. Large showers of volcanic ash at the onset of an eruption could injure hikers. Floods of hot ash and water could also occur, flowing down the slopes of the mountain in a matter of minutes. Poisonous gases, which accompany an eruption, would also pose a major risk to people and animals. Measurements show that pressure from Hekla’s magma chamber already exceeds what it was in the year 2000, suggesting that the volcano is ready for an eruption, although no one knows when that might occur. All we know is that we’d only get an hour’s notice. It could be tomorrow; it could just as well be 50 years from now, which is why the volcano is not closed to hikers. They just need to be aware of the risk they take. Iceland’s Department of Civil Protection and Emergency Management has installed a sign at the base of the mountain to point out the risk. Furthermore, a response system is in place, whereby an SMS would be sent to everyone in the area when it is clear that an eruption is imminent. Einar wonders how long it takes people to notice their message and how much time they will have to make an escape, but he hopes for the best. Next time Hekla wakes up, let’s hope no one will be on the mountain.